Kutná Hora is a small town situated about 60 kilometres from Prague. PID or Prague Integrated transport places it in zone 7 (the 11th zone from the centre). I had to get an 11 zone, 5 hour ticket that cost me 84 CZK. PID has an app that functions like an information and ticketing interface—just like HVV of Hamburg or MVV of Munich. In fact, getting tickets online is slightly cheaper and more universal. The only thing I must mention is that one must check the zones on their website and make sure to activate the ticket before travelling. I had to switch my train at Kolin to reach my destination. I could have taken a direct train but there wasn’t any until about an hour from then. 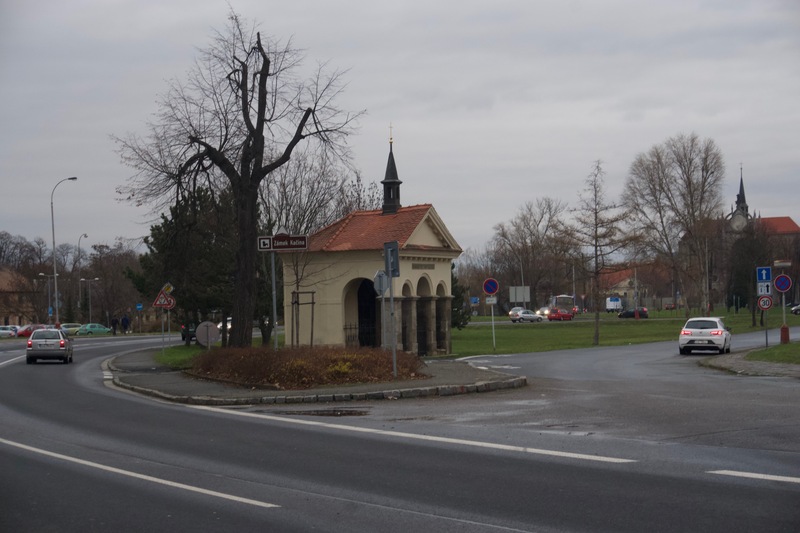 By that time I would have reached Kutná Hora anyways. The underground passage of the main railway station had some good quality graffiti and stencil work. The town itself is a quiet suburban place. The best way to enjoy the town is to commute by walking. 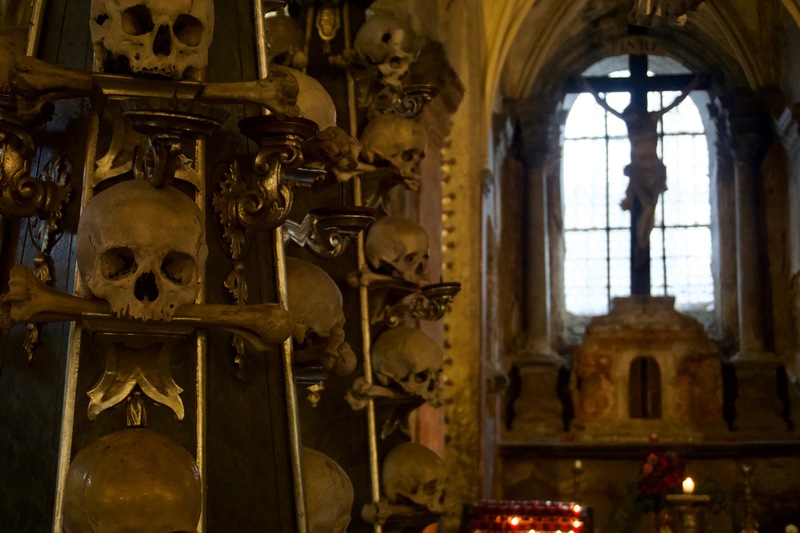 Although the guide issued by the information desks lists many things, I had only two places in my mind—the Sedlec Ossuary and The Cathedral of St. Barbara. 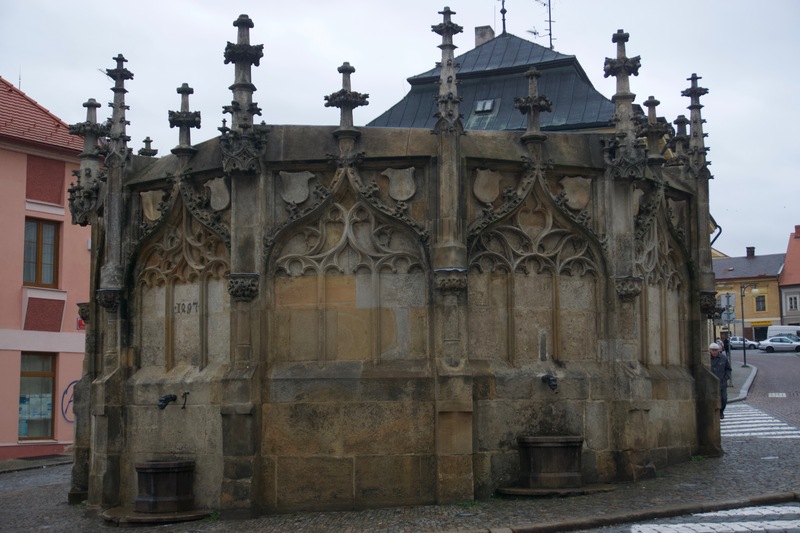 In order to reach the ossuary, I had to walk about 1.6 km from the Kutná Hora main station. 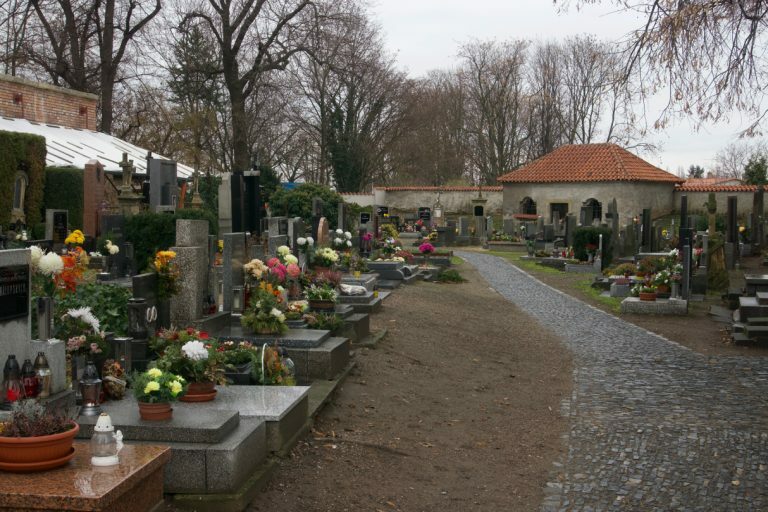 The ossuary itself is located amidst a cemetery, thus increasing the morbidness quotient of the site. The ossuary itself was under renovation. The interiors were not affected by the work and thankfully, was still open to public. 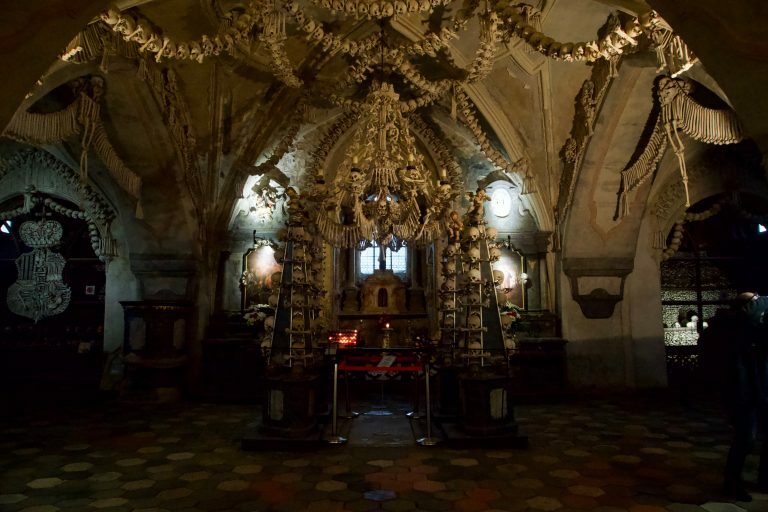 The interior of the ossuary. 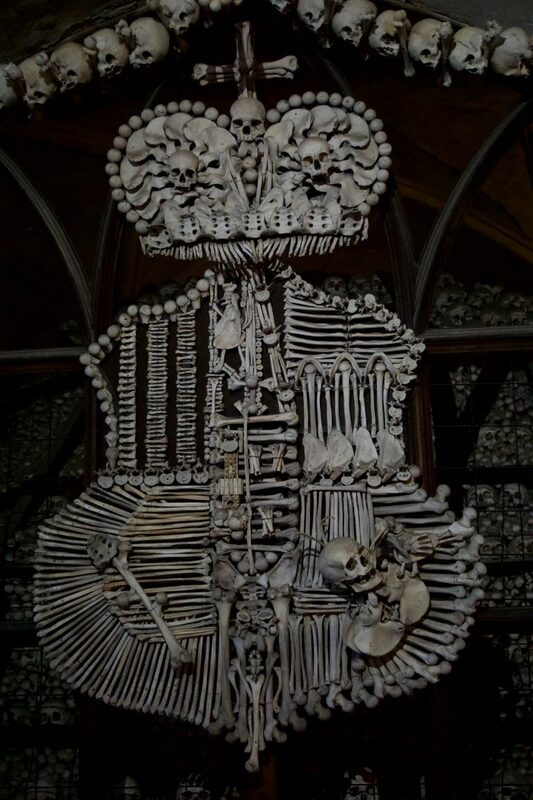 Note the bone chandelier. 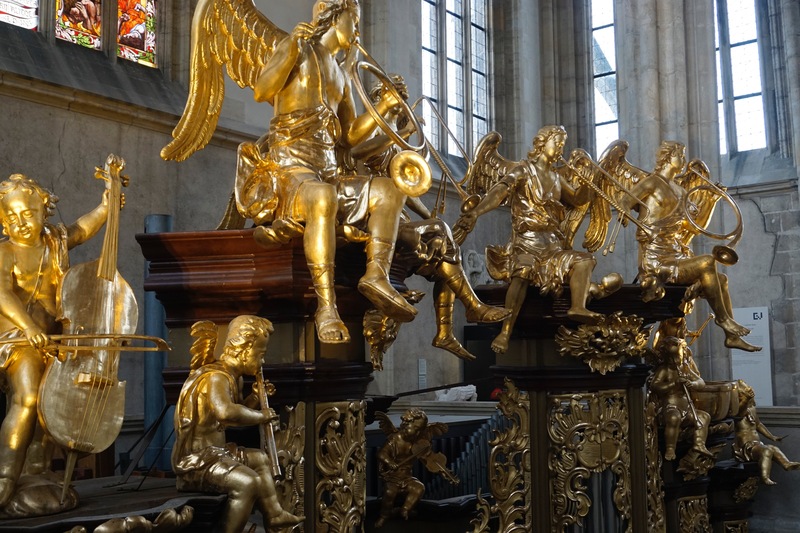 Close-up of the arrangement near the altar. Coat of arms of Schwarzenberg family, who commissioned the “decoration”. 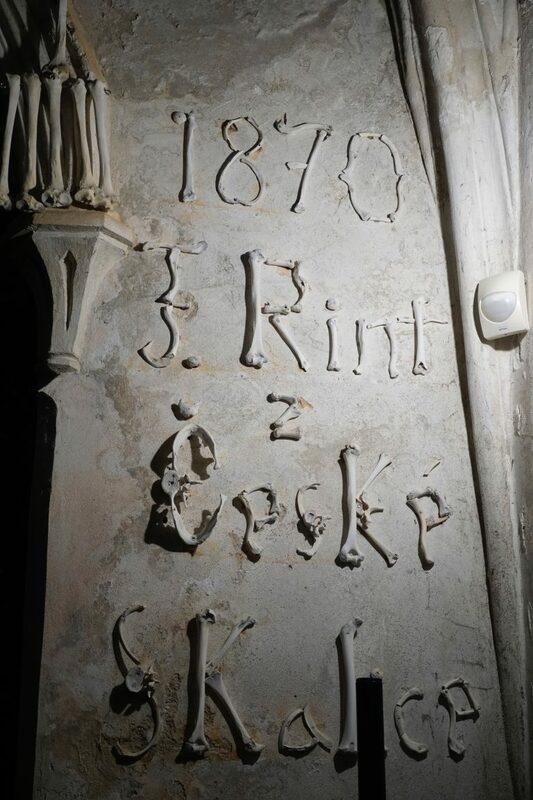 Signature of František Rint—the person responsible for arranging the bones. It took about 40 minutes to walk from the Ossuary to St. Barbara’s cathedral. It was possible to take bus but then I would have missed the town and its visuals. 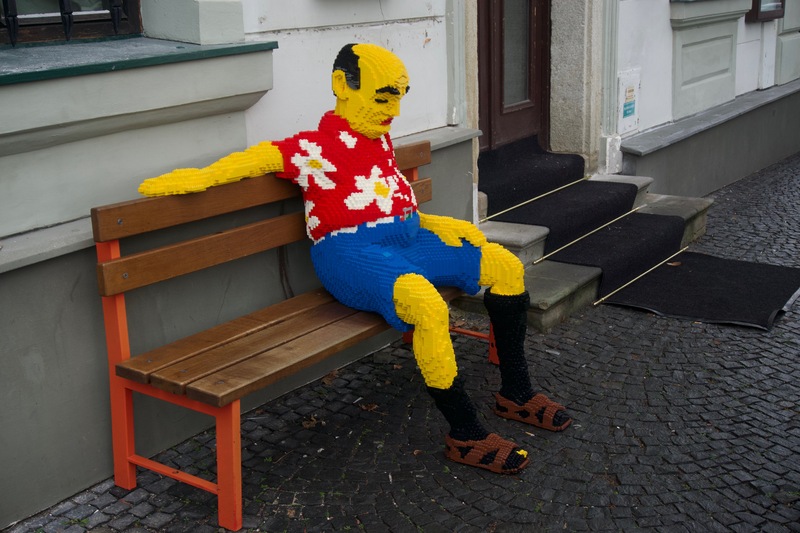 Visitors often sit beside this lego model outside the Lego Store / Museum in Kutná Hora. 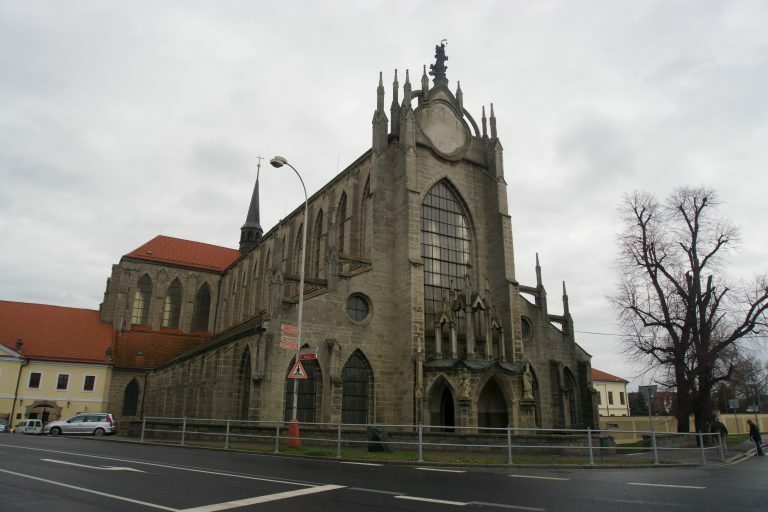 Cathedral of Assumption of Our Lady and St. John the Baptist. This is also a UNESCO heritage site just like St. Barbara’s church where I was headed. 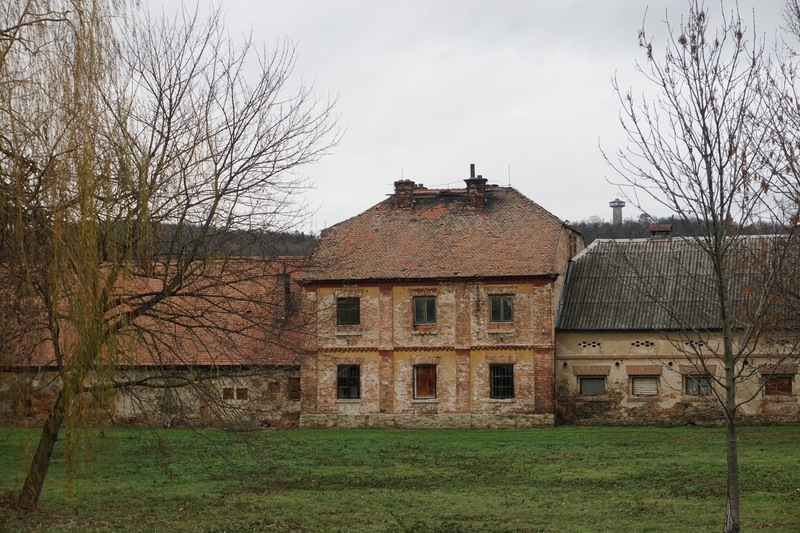 A dilapidated house that looked like it was abandoned. 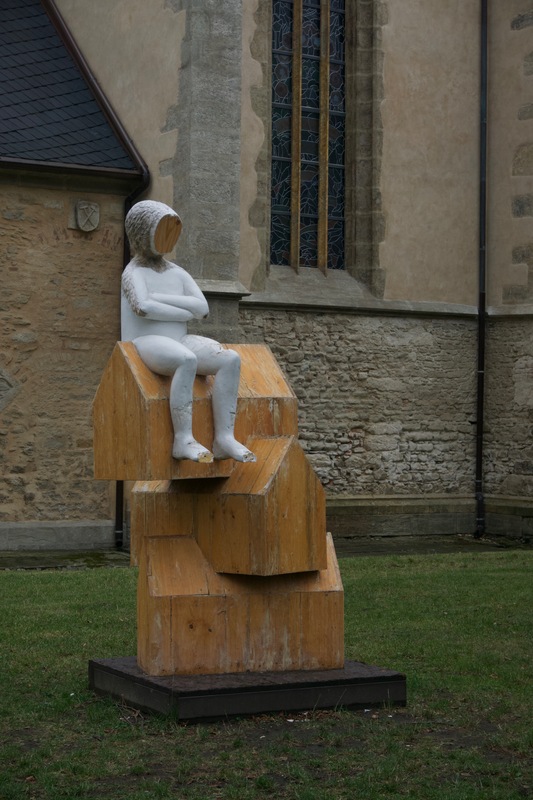 An installation in front of St Mary’s Church on Náměti. St Barbara’s Church was one of the few places that gave a printed guide to accompany the spot markers. You may think of it as a textual analogue to audio guides. I got to know a lot from the texts and the info-displays, including the state of the church during various times of the history. 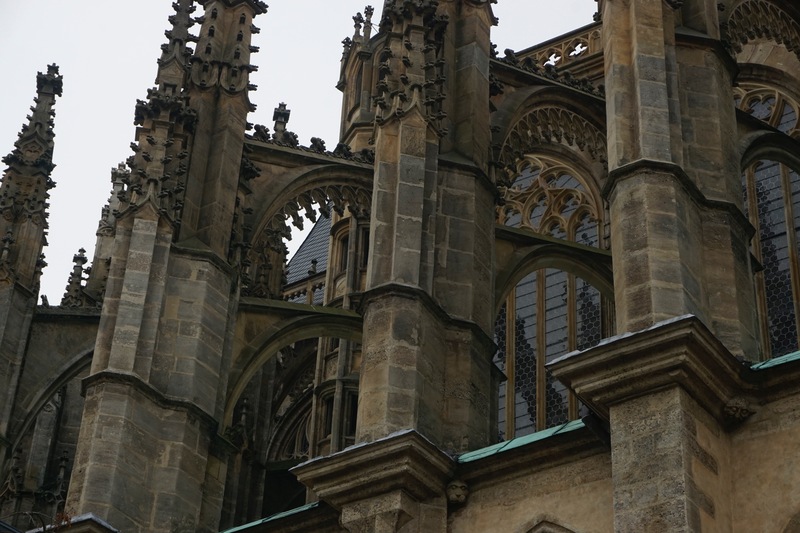 Close up of the supporting columns and arches. The alter depicting the Last Supper. Top-right wing has St. Barbara holding a book in her hands. 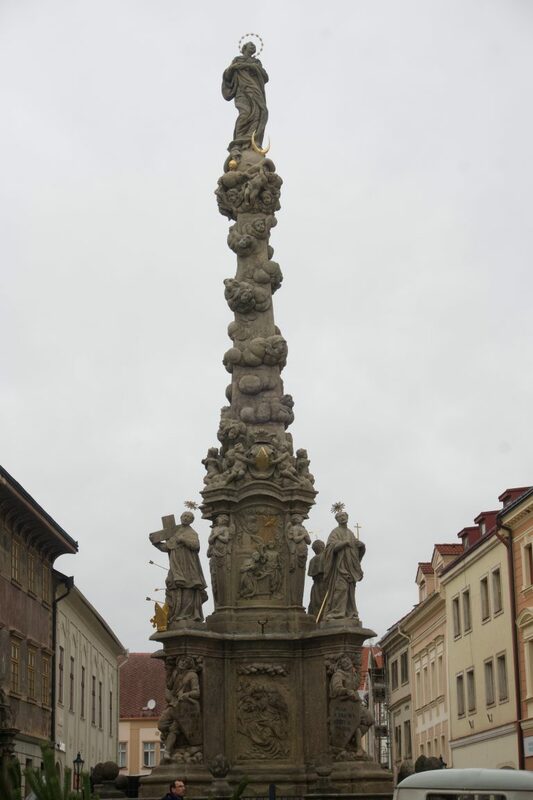 She is considered to be the patron saint of miners, the prime occupation of the inhabitants of Kutná Hora during medieval times. 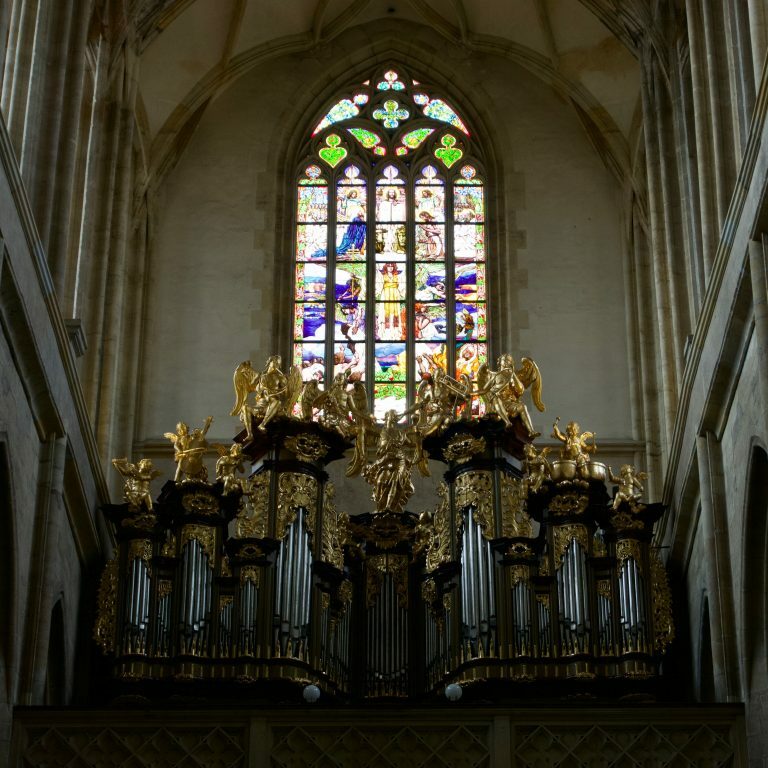 This pipe organ was one of the most decorated organ I had seen during my visit. It is possible to get to the upper floor of the cathedral. 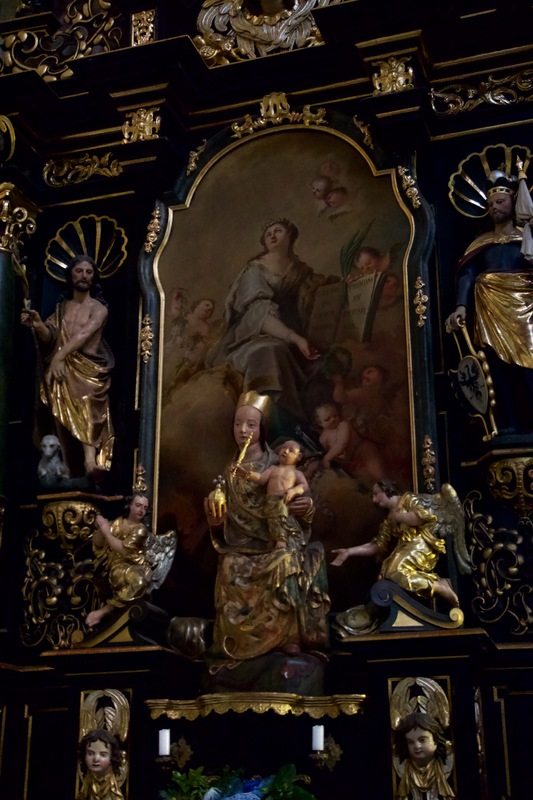 Here is a close-up of the ornamental statues decorating the organ. This was the oldest surviving statue in the cathedral. 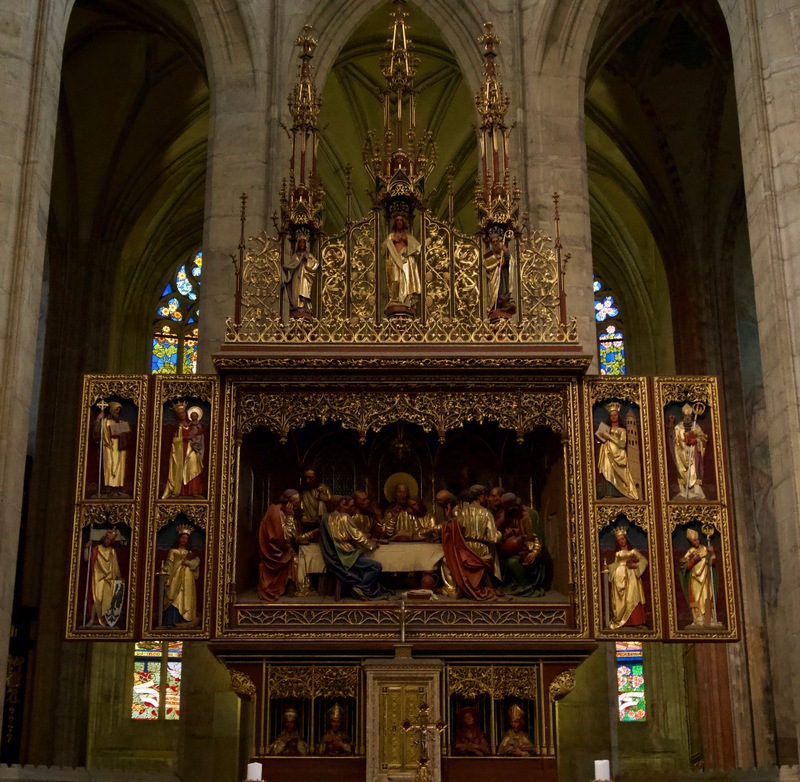 Called “Our Lady Enthroned”, it dated back to 1380. I walked back to the main railway station the same way I had come. While returning I got a direct train to Prague. 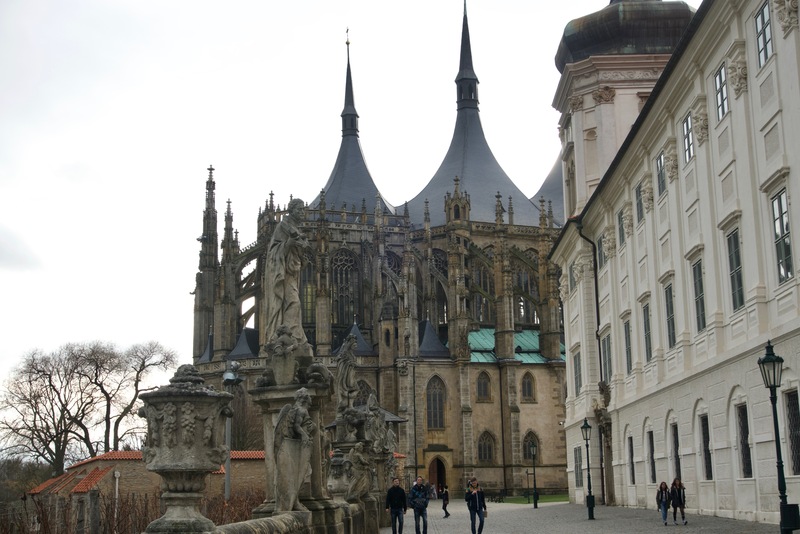 Most of the people who got up from Kutná Hora were tourists. The ticket checking lady saw the unified ticket on my mobile and asked if I was Czech. Maybe the paper tickets are most common. On my way back, I had a Noodle dish from a Vietnamese restaurant. Judging by the portion size (even the wrap I had yesterday), I guess the Czechs have an enormous appetite.